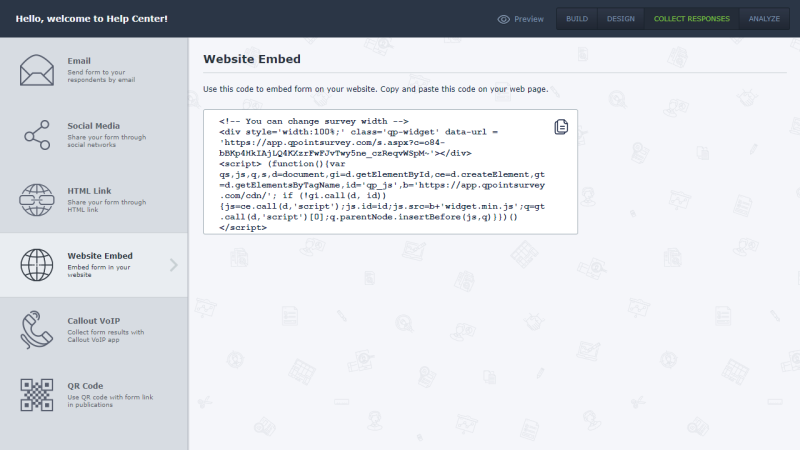 If you want to display your form on your website, use embed code. This is a great way to reach out to your visitors. Don’t forget to design the form so it looks as part of your website. More information about design.